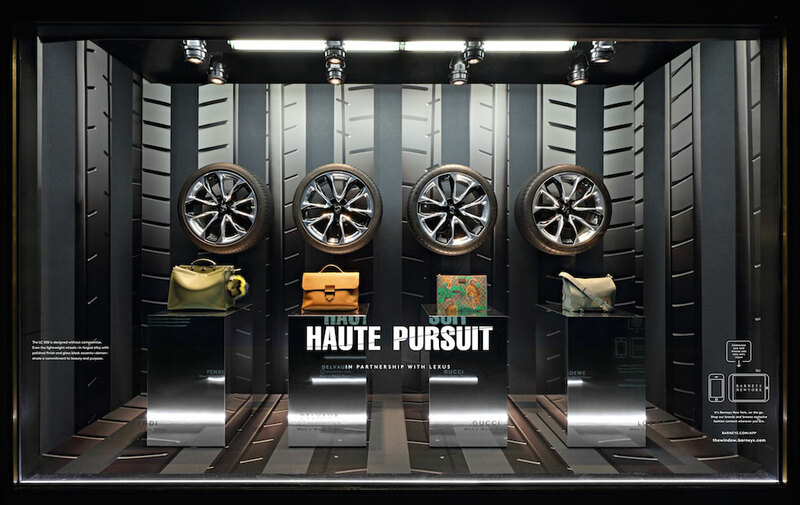 First up are the vehicle’s lightweight, forged alloy wheels, whose polished finish is reflected in the window’s chrome finishes and gloss black accents. The coupe’s high-performance tires also make an appearance, since they too have become a visual feature of the LC 500. “The feeling of the first window is largely driven by the texture of the very special, performance-based tires,” Mazzucca says. 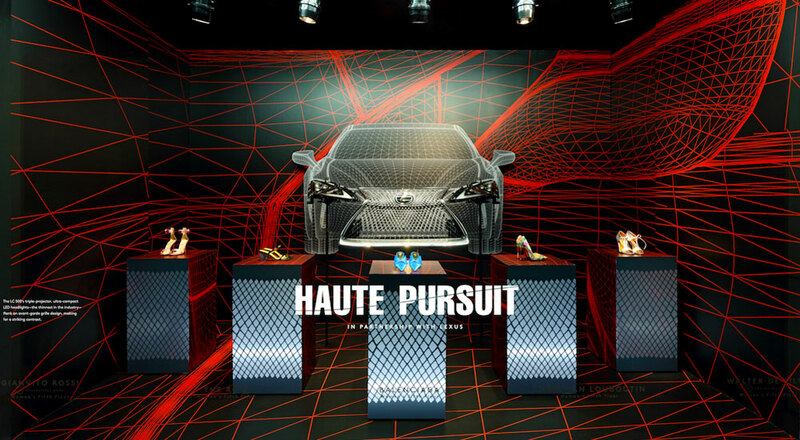 Moving up Madison Avenue, next comes the window focusing on elements of the vehicle’s rich interior, which was painstakingly crafted by Lexus’ meticulous Japanese artisans. 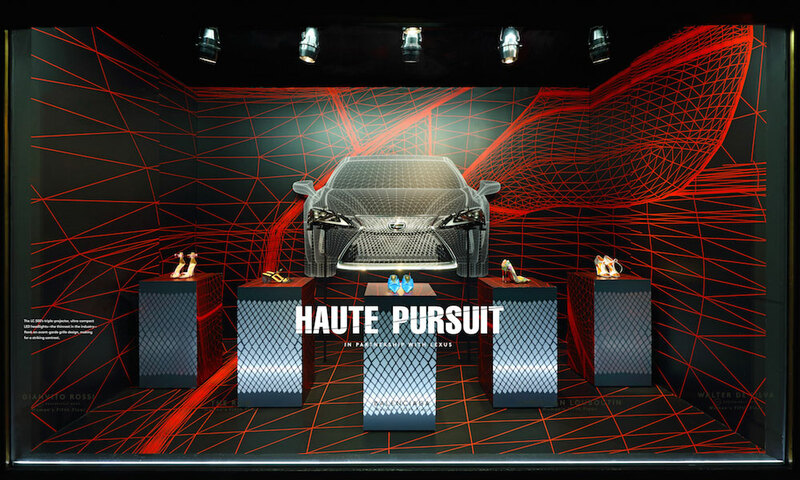 Details like the elliptical steering wheel, distinctive contoured door panels, and perforated leather have been photographically enlarged to create an abstract, landscape-like environment for a selection of men’s shoes and bags. 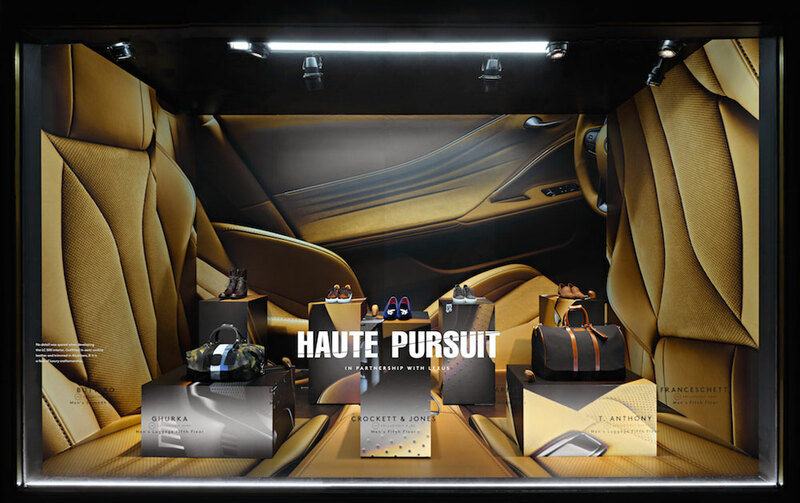 Lastly, the fourth window is a tribute to the exterior design of the LC 500 and features a life-sized line rendering of the luxury coupe. “Two key features that are very specific to Lexus are their headlights and their grill, so we augmented the line drawing of the car with real, 3-D version of these elements,” Mazzucca says. 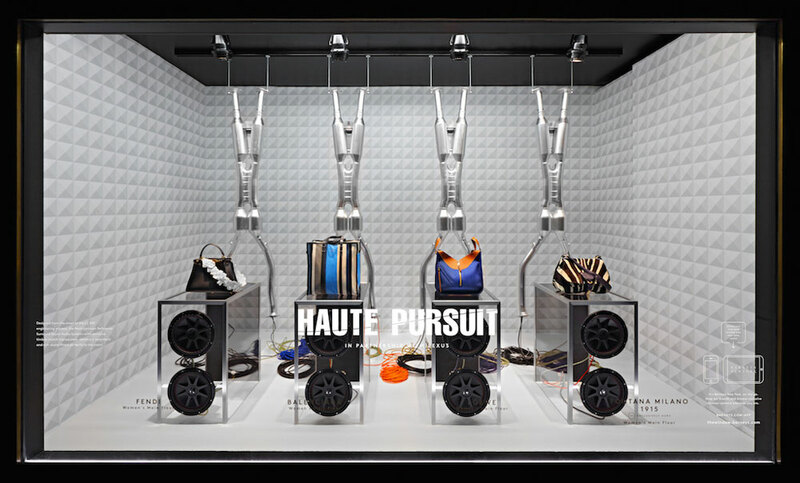 The ‘Haute Pursuit’ window installation is now on view at Barneys’ Madison Avenue flagship and will run through Sunday, July 16th.